Mike Mann has founded or co-founded a number of companies, including DomainMarket.com, SEO.com, and Phone.com. One common theme which all of his businesses share, is an incredible domain name. I had a chance to interview Mike Mann, and the conversation centered primarily on the importance of domain names. The following answers are not Mike’s exact words, but based on my notes of our discussion. To see if a domain is available, just type it into the domain checker below. 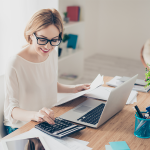 The checker is run by Bluehost, which offers a domain and email for just $2.95/month, which is the best rate we’ve found to get started online. 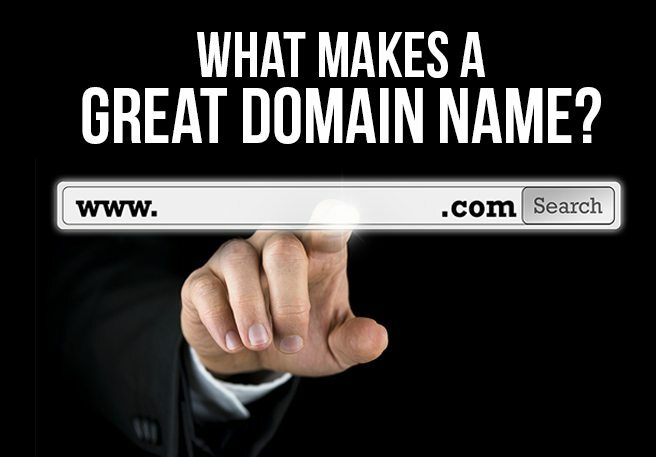 Unknown to me prior to the interview, Mike Mann is a key figure in the ongoing debate about the value of “.com” domain names, during a period of time when the options for domain extensions are rapidly expanding. These days a coffee shop can have a domain name that ends with “.coffee”. For example, Mike’s Coffee Shop can purchase “www.mikes.coffee” However, Mike Mann argues that if there is a choice between “www.mikescoffeeshop.com” and “www.mikes.coffee”, the clear choice is the the dotcom domain. Why is the dotcom the better name? Dotcom names are less likely to be typed in wrong or misremembered. Dotcom names are a better store of value. At the heart of the question is the level of familiarity and comfort level that people have with the dotcom domain extension. On a personal level, I generally perceive companies that use “.info” or even “.net” domain names as less credible or established than a company with a dotcom domain name. Mike believes this same issue will extend to all the new domain extensions that are being established. In fact, he thinks the credibility value of a dotcom domain extension actually rises when web searchers are exposed to multiple unfamiliar extensions. When I asked if there was any academic research to support his claim, he pointed to a study from Microsoft’s research paper “Domain Bias in Web Search”. The paper fairly strongly makes the case that web searchers pay attention to domain names and tend to click on search results from domain names which they are already familiar with. The study does not explicitly compare the relative importance of dotcom versus other extensions. Mike had recently attended an event for the Gold Coast Venture Capital Association. When I asked Mike to give examples of bad domains names, he went to the list of companies at the event. Here are the names of some of the the companies Their domain names are assumed to be “www.theirname.com”. BluVision – While the name is easy to say, the missing “e” in blue makes it likely to be misspelled. Furthermore, the company provides technology for bluetooth beacons. The name is not descriptive of the business in any way. SpeedETab – How many people do you think would say or spell “SpeedE” as “Speedy”. Putting that aside, the company enables bar patrons to order and pay for drinks with their phone. The “Tab” doesn’t mean spreadsheets. Klink – Mike Mann was not even sure the company owned the domain name “Klink.com”. Having a company / brand name and not owning the domain name is a major mistake. Assuming they owned the domain, Klink is very catchy. However, to give meaning to “Klink” so it means an application for ordering wine and spirits, will require millions in marketing dollars. Mike was at the conference because of his investment in one of the companies exhibiting, Owl Tutors. The name is easy to say, easy to spell, relatively short,catchy and descriptive of the company’s business, tutoring. Also, the word Owl is supposed to denote intelligence, “the wise owl”. In short it’s a great domain. 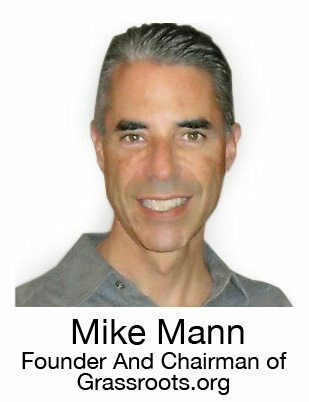 Mike Mann is the founder and chairman of Grassroots.org a 501(c)(3) global network that provides free services to non-profits and promotes social action. He also founded and manages Make Change! Trust, a charitable fund that supports select 501(c)(3) organizations. Mike is also the founder of several successful, active, for-profit corporations. Three of these corporations were listed among the 2012 Inc 500 fastest growing companies in America, including Phone.com, DomainMarket.com and SEO.com. In many cases his companies exchange resources, talent and technologies in their never-ending quest to deliver innovative, profitable digital products and services. 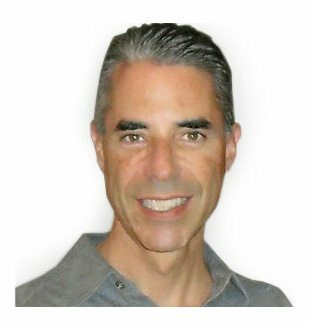 In 1998, he founded BuyDomains.com (now NameMedia), the world’s largest secondary market for domain names, and sold majority interest to Highland Capital and Summit Partners in 2005, along with the “Seeq.com” search engine portal. Between 1998 and 2001, Mike served as the founding Chairman of the non-profit ByteBack.org, which is an innovator in operating free computer and job training centers serving inner-city communities. In 2007, Mike and WashingtonVC.com founded Yield Software, a company which delivers cutting-edge online marketing software. Within two years the majority of Yield was sold to venture capitalists Draper Fisher and international marketing conglomerate WPP. In 2011 Yield Software was acquired by Autonomy Corporation, an HP company. Mike is also the author of Make Millions a book focused on making money in small business so we can better serve society. As an early Internet pioneer, Mike has received a patent for his groundbreaking domain name technology. The Domain Name Suggestion Patent “WhoisPlus/NameFind” (Mike’s February 11, 2003 invention) is used or copied by virtually every domain name company, which ultimately represents the majority of end user registrations ever since, many millions of domains. Is it better to buy a great domain from any web based marketplace like sedo or flippa ? Recently I found found a domain (scienced.net in Flippa listing , should I buy it? 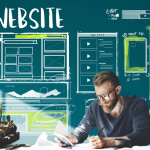 Are you looking to get a website up-and-running or were you just wanting to buy a domain to resell down the road?